Empty calories is a term for foods and drinks that lack the vital nutrients necessary for normal brain and physical development, as well as overall wellness. U.S. News uncovered several studies linking nutrition to mental health and the issues our struggling youth face today. Serotonin is one of the most important chemicals in our body. It is a neurotransmitter that helps regular mood, sleep, and memory and low levels of serotonin are associated with depression. Roughly 95% of serotonin in our bodies is generated in the gastrointestinal (GI) tract. 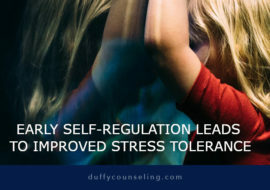 It can be argued with confidence that much of our serotonin production is the result of what we eat and what we eat affects the way we feel, the way our brain functions, and how we behave. Obesity has been an epidemic in the United States for decades. Access to sugary drinks and foods as well as the abundance of options for cheap, calorically dense, and highly processed foods are affecting our youth not just physically but cognitively as well. 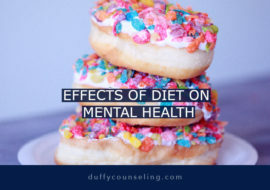 A low quality diet rich high in sugar and rich in processed foods has been found to be correlated with higher incidences of inattention, depression, pervasive anxiety, and sleep disturbances. Also, without proper nutrient ingestion, physical and brain development can be disrupted. Another issue amongst our youth is that many high schoolers report eating only 1-2 meals per day. Many students forego breakfast, eat highly processed foods for lunch, and often forget to consume dinner. Individuals on stimulant medications for inattention report a lack of appetite and may only eat a few hundred calories per day. 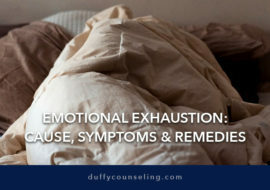 In these cases, the lack of nutrition affects mood significantly as the human body does not have enough calories or macronutrients (protein, carbohydrates, fats) to draw from for growth and energy. Additionally, active youth require a higher caloric intake as well as frequent ingestion of higher quality meals. Doing so leads to a healthier development, higher energy without the sugar crash and irritable mood, and better cognitive functioning throughout the day. Understanding how a healthier diet can affect us is the first step. It is expected for children and adolescents to have some junk food from time to time, but continued exposure to processed foods and sugar can lead to addiction. When we eat these foods, a 2011 study from Yale University found that the reward centers of our brain are activated in the same way the brains of cocaine users are. Many youth struggle to break free of unhealthy eating habits because they are so ingrained in their behavior from a young age. So if some of this information stands out to you or can be applied to your children, consider making a change. Slow, gradual change is more sustainable than changing your diet overnight. Start with eating a breakfast consisting of whole foods then move on to getting three nutritious meals in per day. Understand that it takes time but once you develop a plan that fits your needs and lifestyle, it becomes easier to maintain. Remember: not only does a healthier diet lead to better mental health, it also helps with better physical development, sleep, and energy throughout the day.